Few accessories are as essential in the cockpit as a reliable headset. While a sub-par model can direct attention away from more pressing matters in the cockpit, a great headset lets you focus on what’s important while also bringing a host of creature comforts and capabilities to your fingertips. Advancements over the years in design and materials allow today’s pilots to enjoy a higher level of comfort, clarity, hearing protection and high-tech features than ever before. For those in the market for a new headset, the options are plentiful, with offerings at every price point. With so many great models, it can be a difficult task to sift through the possibilities. Here’s our breakdown of some key models to consider. 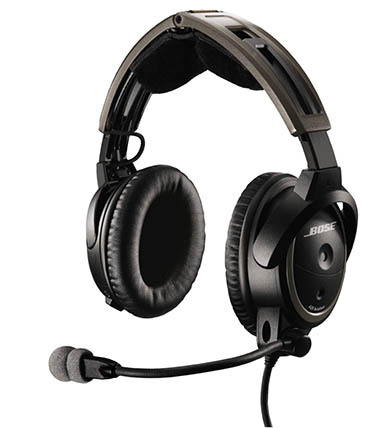 The most critically acclaimed headset, the Bose A20 combines great passive and active noise reduction with tremendous comfort and sophisticated styling to offer a premium headset at a premium price. The A20 makes use of nicley contoured earcups and a sheepskin-padded adjustable headband along with multi-microphone active noise cancelling and optimally designed earcups to create a supremely comfortable, quiet and great-sounding headset experience. Features include auto power off (and on with ship’s power), Bluetooth connectivity, and right or left configurable mic mounting. The control module lets you adjust volume for both the right and left ears for easy adjustability, as well as to adjust the music feed to mute automatically with a radio or to continue to play in the background. And battery life, at 45 hours, is a similarly premium experience. 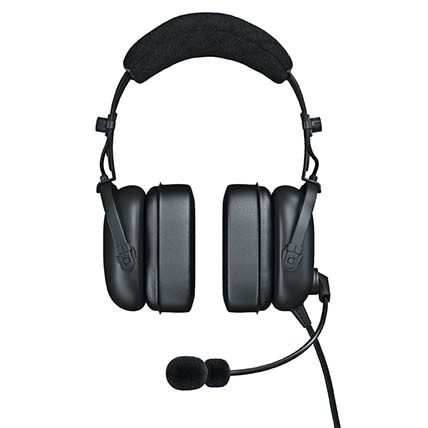 A relative newcomer and one of the staff’s favorites is the David Clark DC ONE-X, a rugged, lightweight, active noise reduction headset that makes good on the David Clark reputation for reliable headsets with that bluecollar appeal with top-notch performance. The DC ONE-X is for our money the most comfortable full-coverage headset the company has made, and it’s near the top of the list for its noise-reduction capabilities too. By combining active electronic circuitry with strong passive attenuation, the headset achieves great noise reduction, especially at the tough to address lower-frequency ranges, while still being comfortable even for long legs. The clean-sheet earcups are just right for our ears, providing effectivec passive attenuation and great comfort without sacrificing a good fit. 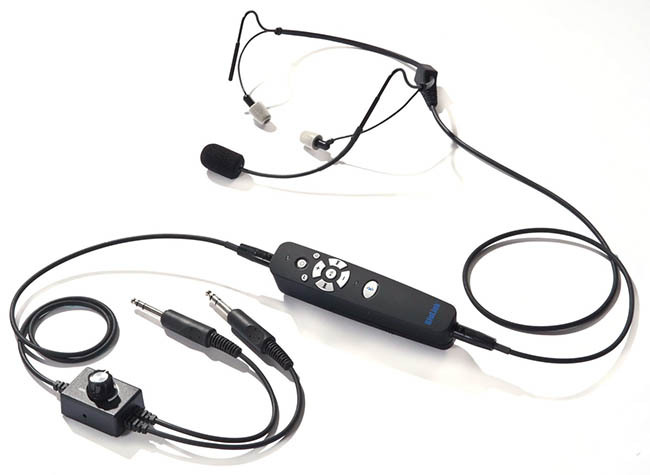 The full-featured DC ONE-X features Bluetooth connectivity for your phone or a music input, and the electrec mic makes good on DC’s reputation for great voice performance even in high-noise environments. As an added bonus, the DC ONE-X folds down smaller than any full-sized headset in this lineup, making it easy to tuck away in your flight bag. 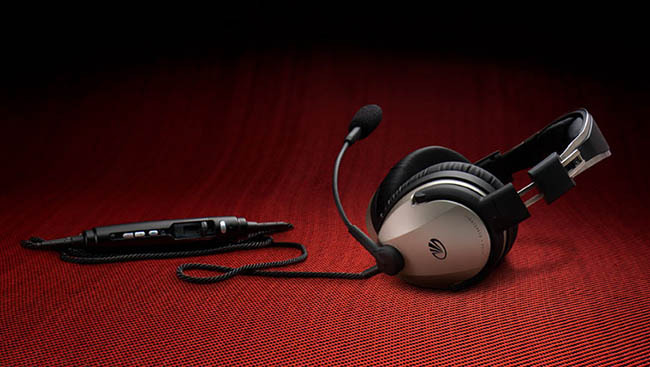 Lightspeed has been making premium headsets for decades now, and its latest offering, the Zulu 3, delivers the same high quality users have come to expect from the company. The new model gives its key competitor, the Bose A20, a run for its money, which is to say it delivers all of the things you’d look for in a first-class headset—great acoustics, reliability and supreme comfort. While it builds upon the strengths of its predecessor, the Zulu 3 isn’t just a revamped version of the Zulu 2. It features a number of substantial upgrades. One such improvement is redesigned ear cups and seals that give more room for the ear and align with the curvature of the jaw, making the headset more comfortable to wear than ever. The Zulu 3 also takes a cue from the PFX and Tango headsets with its rugged Kevlar cables, which weigh less than traditional cables and aren’t as likely to get tangled. The Zulu 3 retains the advanced features pilots have come to love in other Lightspeed models, including audio and phone Bluetooth and the ability to record incoming and outgoing radio calls using the Lightspeed digital app, though we don’t think many users will make use of this feature. For years, Clarity Aloft has made high-end in-ear headsets that give great noise reduction with minimal complexity for users who are open to an in-ear solution—with earbuds now common in consumer electronics, more users are willing to give in-ear products a shot. At first, Clarity Aloft’s headsets were so minimal that many users asked for more, such as an audio input and Bluetooth connectivity, and with its Clarity Aloft Link model, customers got what they were asking for. The Link model adds a controller module similar to those on high-end over-ear systems through which the wearer can adjust the volume levels and choose and even control music or other audio inputs. The headset itself is little changed from the company’s other models. It’s so light it’s hard to even weigh, and the quality of the mic, which is cantilevered with a bendible boom, offers excellent audio performance. Like the mic, the tiny speakers of the Link headset sound great, and because they are not active noise cancelling, there’s no extraneous signal processing to color the sound of the music. One headset you might not be familiar with is the Quiet Technologies Halo, which is picking up a cadre of loyal users who like its light weight and budget cost. For pilots who are tired of the clamping and weight of traditional headsets and who are open to an in-ear design, the Halo provides a new option. The key component of the QT Halo design is an adjustable headband that can be molded as tight or as loose as preferred. This flexibility allows it to be worn over or behind the head, or even resting on the shoulders. The Halo is also unique in that it delivers audio to the ear through sound tubes as opposed to wires, and the speakers are protected from corrosion through their location further aft of the ear canal. The headset is battery-free, and its weight is negligible. Its foam earplugs take a bit of practice to get in the right spot, but once you do, they deliver stellar noise cancellation and sound. Priced below $400, the QT Halo is a good deal cheaper than its chief rival, the Clarity Aloft, although unlike the Aloft, it doesn’t provide a TSO’d option or certain advanced features. While the standard Halo isn’t Bluetooth-equipped, users can opt for the feature by purchasing the BluLink accessory or choosing the BlueHalo model for a few hundred dollars more. Active noise reduction has been a game-changer in the headset field, but it doesn’t come without a cost. 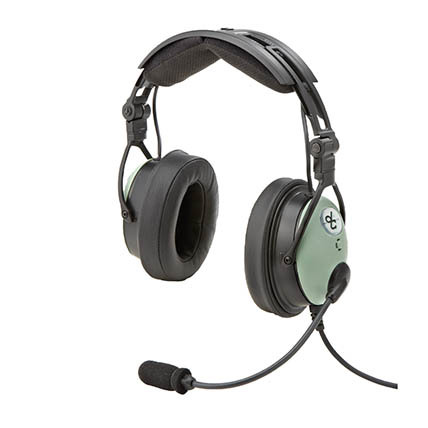 Popular ANR headsets can easily run close to a grand and then some, putting the feature out of reach for some pilots. The Stealth from Faro, however, offers the opportunity to enjoy ANR without breaking the bank, though it is admittedly far less comfortable than premium options. Introduced in 2017, the headset is a spin-off of the popular Faro G2, which has been popular for several years now. The Stealth’s thick ear seals have been redesigned from the G2 for a more comfortable fit and enhanced noise reduction. The Stealth is not as quiet as more expensive ANR models, but the sound quality is still good. The mic rotates 360 degrees, a convenience for right-seat fliers, while its music input allows users to enjoy some tunes in flight. At the end of the day, the Faro Stealth may not offer the luxury of Bose or Lightspeed, but it does provide solid value for the money. For pilots unable to spring for ANR, the Telex Echelon 20 provides a well-built option at an affordable price point. For a couple hundred dollars, fliers get 20 dB of passive noise reduction, which won’t offer the same peace and quiet as ANR but will still reduce the noise level well enough to get the job done. While some contend the Echelon 20 is not as quiet as its David Clark’s PNR competitor, the Telex makes up for lost ground in its comfortable fit. The headset’s patented ComfortCam technology allows users to change the tension of the set using one of three different settings, while its slow-recovery memory foam earpiece cushions deliver a gel-like feel. Overall, the Echelon 20’s durability and good value make it a perfect choice for an entry-level headset, one that has sold well to budget-conscious fliers for many years. 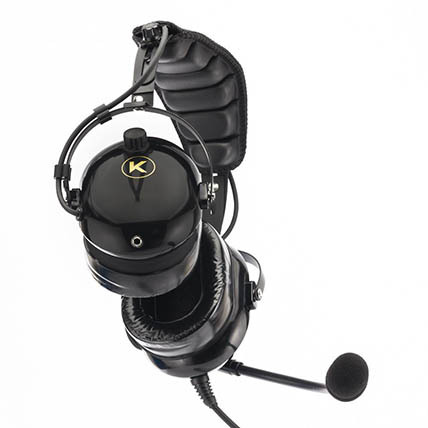 The KORE Aviation KA-1 is another passive noise reduction headset that is a great buy for fliers on a budget. The padded headband and gel ear seals provide a solid fit without too much clamping pressure, although those who fly in hot climates would benefit from purchasing the add-on cloth ear covers to prevent overheating. 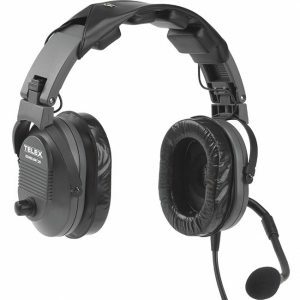 The headset provides up to 24 dB of noise reduction, and the flex boom microphone stays in place and captures sound nicely. There are individual volume controls on each ear cup and a 3.5 mm audio jack for listening to music. 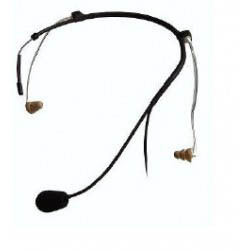 The headset is sturdy overall and is constructed to last, with special touches such as gold-plated plugs. For less than $200, the KA-1 is a bargain that delivers the basics in fine fashion. Passive noise reduction headsets block out sound by creating a thick and tight seal between the ear and the outside environment. Low-frequency sound from the engine is still able to penetrate this barrier and enter the ear, however, and over time this exposure creates a risk of hearing loss. Active noise reduction works to combat this threat through the use of a sophisticated electronic system in which a microphone detects the low frequency sound present inside the ear cup. The electronic system processes this sound, and then a speaker emits opposing sound waves that cancel out the original ambient noise. 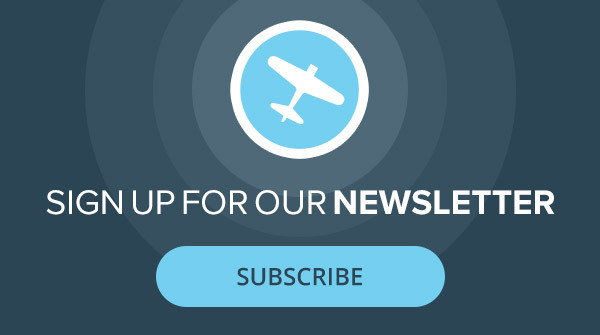 Must me a slow month in aviation news? My advice save these News Breaking stories till December when we have nothing better to do! I have two Flightcomm headsets both ANR with one being the classic and the other being a Denali. I absolutely love both headsets and are a great deal for their price. They are very comfortable and while the Denali is a bit lighter I prefer the classic as it fits me better.